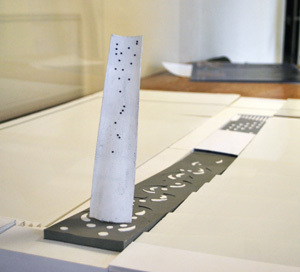 A model of the water sculpture. The gray tiles under it represent flowing water. Photo by the Ann Arbor Chronicle. It is fun and easy to ridicule the piece, but its price tag (getting close to $1 million) in a time of scarcity has raised more serious questions. Is the Percent for Art program an example of misplaced priorities for public money? And further, is it even appropriate – or legal? 2. The selection of an artist from another continent, let alone another state or city, does nothing to support local artists. 3. The design is ugly (if hilarious) and will fail. Earlier, every discussion of the Dreiseitl sculpture/water feature has elicited similar comments. City council has determined that the creation of public art will improve the aesthetic quality of public spaces and structures, provide cultural and recreational opportunities, contribute to the local heritage, stimulate economic activity and promote the general welfare of the community. City council recognizes the responsibility of government to foster the development of culture and the arts. It is therefore declared to be municipal policy that a portion of expenditures for capital improvement projects be devoted to the purchase and maintenance of public art. Now who can be against that? (Although I don’t get the part about stimulating economic activity, unless you mean Art Fair.) Art and culture make up one of the pillars of our civilization. My personal idea of a good time is a visit to an art museum or a play. Artists enliven our community in many ways and help define what it is to be human and to be aware of the complexity and wonder of the universe. But then we get to the bottom line. The ordinance says that “all capital improvement projects funded wholly or partly by the city shall include funds for public art equal to one percent (1%) of the construction costs identified in the initial project estimate, up to a maximum of $250,000 per project”. “1. What is your position on public funding for arts and culture? But – public art and publicly funded art are not necessarily the same thing, nor do they need to be. Much public art is the result of bequests or donations. Before the Percent for Art ordinance was passed, we had the Commission for Art in Public Places (CAPP), whose modest grant from the city was supplemented by private donations and money from other sources for specific projects. For example, the public art on the Fourth and William parking structure included $50,000 from the DDA and a sizeable donation from the family of the late Reuben Bergman (the first DDA director in recent times). 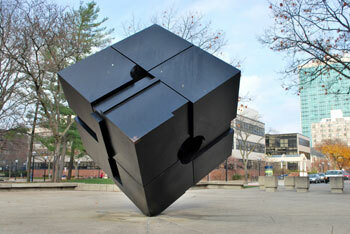 The Ann Arbor Chronicle recently had a discussion that included a picture and history of the Cube. Now there is a real piece of public art. Ever watched kids fascinated with it? Ever wished you could rotate it too? It is beautiful, interactive and long-lived. And it was a donation. The councilmembers must have been startled when the dollars started to flow in to the new fund. Whereas the 2007 grant to CAPP was all of $7,000, the amounts are now in the millions. And indeed, the Dreiseitl project – even just part of it – is priced at nearly three-quarters of a million dollars. “Are funds from the voter approved Park Millage being used for this project? 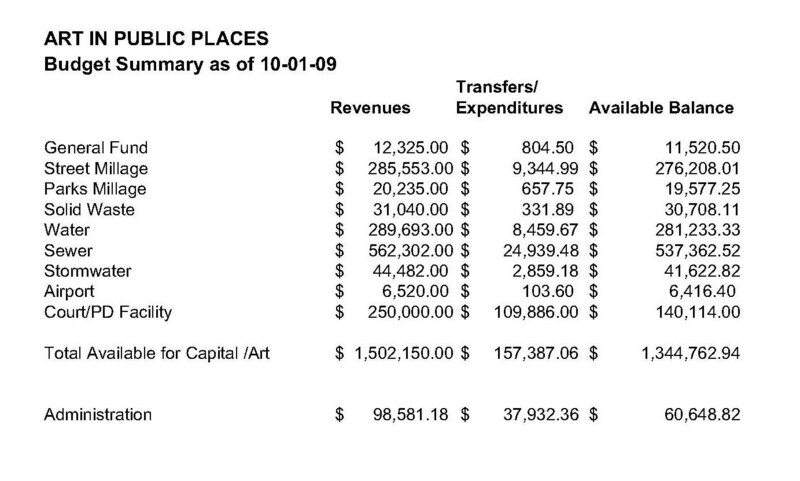 If so: Are any funds from the Park Millage being directed to the 1% for Art Fund? If so: Please provide the voter approved Park Millage language that authorizes said funds to be directed to public art. If such language is not explicit, then, please provide a written legal opinion that substantiates the Administration’s position that voter approved Park Millage funds can be directed to other uses such as public art by Council majority approval. If such is the opinion, is it legally defensible for the City to adopt a 1% for the Homeless program using the same rationale? Are funds from the Stormwater Fund, a utility enterprise fund, being directed to the 1% for Art Fund? If so: Please provide a written legal opinion that substantiates the Administration’s position that utility enterprise funds, including loans from the State, can be directed to public art by Council majority approval. As reported later by the Chronicle, answers to CM Kunselman’s questions were provided confidentially. But he is on to something with them. In the next post, we will examine the method and legality by which the Percent for Art program is funded. This entry was posted on November 30, 2009 at 5:53 pm and is filed under civic finance, politics. You can subscribe via RSS 2.0 feed to this post's comments. You can comment below, or link to this permanent URL from your own site. Imagine for a minute how downtown A2 would benefit if city council were to chose the open space option for the library lot. A rather large green space in the summer and an ice rink (ice rink!!) in the winter. THAT would do a lot more to “provide cultural and recreational opportunities” than the ill-planned Dreiseitl urinal ever could. If I am looking at the drawings correctly, the, um, metal thing, sits unfortunately close to Huron Street (conveniently rendered as a misty background in the A2.com photo). How long before it gets plowed down by a truck? What a mess. This politician is willing to say that use of tax dollars to fund or subsidize private entertainments (plays, concerts, certain performance art, galleries & other closed events for which admission could be charged) is not a wise use of local tax dollars. An outdoor public sculpture, on the other hand, has the merits of being 1) available to all, all the time; 2) available for multiple viewings by any one person without additional expense; 3) if built to last, available for people who do not yet live here, for no additional expense. Outdoor public sculpture has more of the character of an investment than, say, performance art. Getting people to agree on what is beautiful is, obviously, difficult. No matter what you put up, someone will be annoyed with it. Either it will be too extreme and controversial, or not extreme and controversial enough. There probably need to be publicly-discussed guidelines about what is acceptable. Yes, I agree that outdoor sculpture is the most generally useful and accessible investment in public art. Whether tax dollars should be used to purchase it when the city’s finances are so shaky is a different question. A good discussion about the Cube today in the Ann Arbor Chronicle. Now there is a perfect example of outdoor sculpture – at no cost to the public. Re: buying art when finances are shaky – agreed.